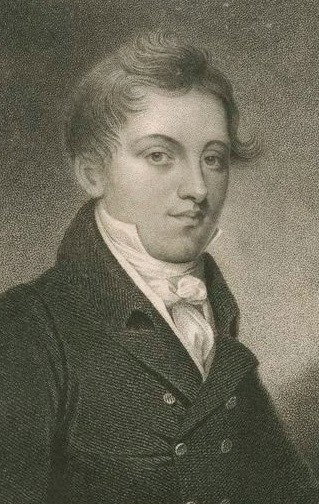 From his birth in New London, Connecticut, on October 21, 1796, it seemed that John Gardiner Calkins Brainard was destined to become a lawyer. His father was a judge on the superior court of Connecticut and the young Brainard was sent to his father's alma mater of Yale to study law. He passed the bar in 1819, started his own legal practice, and hated it. He particularly was displeased by the "personal altercation, contradiction and... hard collision" of his colleagues. Instead, his genial, if not, timid, temperament pulled him to poetry, an interest of his since boyhood and into his college years. He retired from the life of a lawyer after three years and became an editor for the Connecticut Mirror based in Hartford. To write was his passion and, though he disliked the frequent controversy in the field, the world of journalism gave him a daily outlet. He dedicated space in the Mirror to his own poetry and from these writings published his first book, Occasional Pieces of Poetry. To Brainard's surprise, the book was a success and drew significant admiration. He was, however, tempered by sudden gloominess before he could publish a second book. Though ambitious for success as a writer, he was never convinced of his own worth. Brainard turned his attention to religious themes. He left his editorship in 1827, already sick of the tuberculosis that would kill him at the age of 32. By these lone trees, and wait for plunder. —Hush! The darkness that befits so dark a deed. Now strike your light.— Ye powers that look upon us! Advocates and Auroras. — There, what's that! That's — a Price Current. To read their short and pithy sentences. I ever read in my life. Interesting the frequent overlap in the 19th century of legal/writing professions. How could Brainard be tempted by sudden gloominess after his second book? It appeared in 1832, as Brainards Literary Remains, when he was four years in his grave. Thank you for catching that! I had intended to write "before he could publish a second book." Apologies to Mr. Brainard for the error.